We are pleased to announce the new gym at our business park in Tyseley, Birmingham, is now open! Brand new company, D’s Muscle ‘n’ Fitness opened for business after refurbishing a 55,000 sq ft business unit for their needs. Locals were keen to view the facility as there has not been a gym at the business park on Kings Road for more than three years. 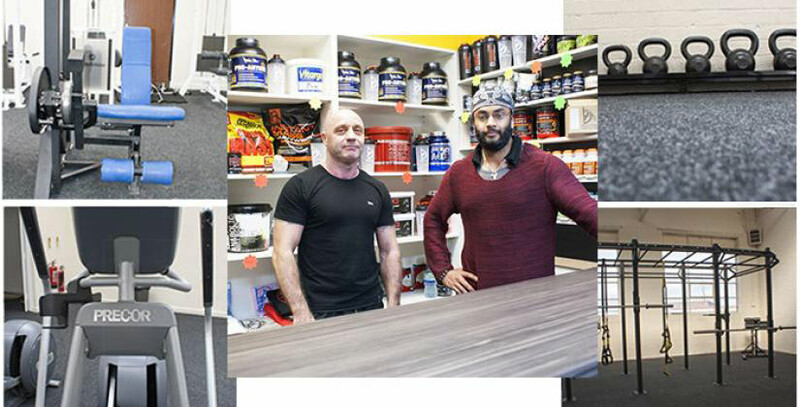 Business owner Angad Singh has been managing gyms for over 10 years, after being inspired by his bodybuilder father, and is excited about his new venture. Creating D’s Muscle ‘n’ Fitness has been an ambition of Angad’s for quite some time. He explains: “I’ve been trying to open this gym for about two years, but the timing wasn’t right. In the summer, I met with Business Centre Manager, Kevin McNamara and he made me an offer I couldn’t refuse! After that, everything fell into place. Bizspace was the ideal choice for me. The location is very central and because the unit had previously been a gym, customers recognise it as a fitness centre, but under new management. Angad, who lives in Birmingham, believes there’s more to a gym than just exercising. As well as boasting a great selection of state-of-the art fitness equipment, D’s Muscle ‘n’ Fitness has a women’s only section for ladies who would prefer to train without men present. Angad hopes this will help all members to feel welcome and comfortable. Once the gym is established, Angad’s goals do not stop there. In addition to a fully equipped gym, Angad would like to create a holistic health and well-being centre which would be open 24 hours a day, to cater for shift workers. To help people look and feel their best, D’s Muscle ‘n’ Fitness plans to offer spray tan booths (a must for budding body builders!) and sports massage on site. “I’d like to offer the very best, so if there are any sports massage therapists or personal trainers/class instructors out there who would like to get involved, please get in touch, ” suggests Angad. Angad says his strong drive and motivation for fitness stems from his father. “When I was young, I was overweight and my dad encouraged me to get fit and take an interest in nutrition. He was into bodybuilding and owned a gym, I guess I’m following in his footsteps. I now get great satisfaction helping people achieve their goals,” says Angad. D's Muscle ‘n’ Fitness is open on weekdays from 7am to 11pm and weekends from 10am to 6pm. Our Tyseley Business Park offers a variety of offices, industrial units, workshops and studios for rent as well as a dedicated self-storage facility. To find out more, please contact Business Centre Manager, Kevin McNamara on 0121 706 3179.